Bardales Battalion training in the Arava area of Southern Israel, 13 July 2016. Photo by Hadas Parush. As an official involved in most of the negotiations between Israel and the Palestinians over the last 23 years, Michael Herzog is an expert on Israeli security concerns and interests. In this article he gives his views on the Center for New American Security (CNAS) report and Israel’s security concerns in final status discussions. 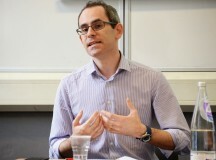 He argues that even though each of Israel’s security requests look solvable when taken in isolation, it is difficult to overcome their accumulating effect on limiting Palestinian sovereignty and he thus recommends deeper involvement by Egypt and Jordan in security arrangements and designing a broader regional security architecture. The core Israeli-Palestinian negotiation issues have been traditionally divided into ‘narrative issues’ – those topics such as Jerusalem, refugees and mutual recognition which touch on the core identity of each party and which are extremely difficult to reconcile; and more ‘practical issues’ such as territory and security. But while some people believe these practical issues are more easily resolved, they are very complicated and we have yet to come to an agreement on them even 20 years on from beginning negotiations. Security is considered by Israel to be paramount because although the country is militarily strong, it is still vulnerable due to its lack of strategic depth, limited resources and location in a hostile environment. 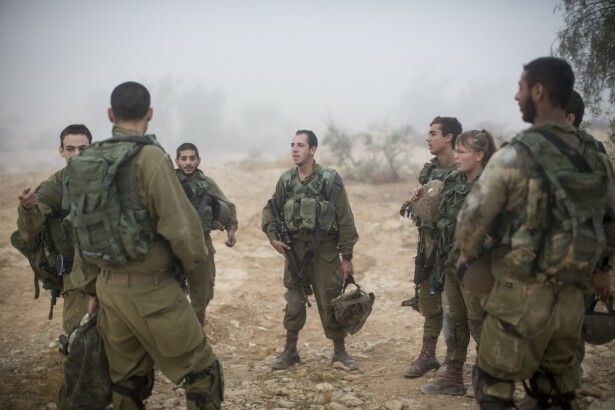 Israel’s history is fraught with armed conflicts forced on it by hostile neighbours. In the Palestinian case, security is all the more sensitive because the territory under discussion (the West Bank) is small, condensed and topographically superior to Israel-proper. The 1967 lines (the product of a 1949 temporary armistice agreement), which are the Palestinian baseline for an agreement, would leave Israel with a dangerously narrow waist along its coastal plain – about nine miles at the thinnest point – and overlooked by the West Bank’s commanding hills. This narrow strip contains Israel’s major cities (including its capital), about 80 per cent of the country’s gross domestic product, 70 per cent of its population, as well as its main infrastructure and sole international airport. Israel’s threat perception envisages potential threats emanating from a future Palestinian state, regional challenges, as well as combined threats between the two. It relates to the potential merger of hostile intents with dangerous military, terror and other capabilities. It also takes into account the potential dramatic changes in the strategic landscape surrounding Israel, which have happened more than once, especially in recent years. No analyst accurately predicted the eruption of the 2011 Arab Spring or the emergence of ISIS, and certainly no one knows what the situation will be in 20 to 30 years. This is no reason to not seek a deal – perhaps the contrary – but it is reason enough to carefully craft security arrangements. Israel therefore seeks solid security arrangements which will prevent the necessary compromises to the Palestinians in a permanent two-state solution from ultimately undermining Israel’s security rather than enhancing it. Yet this stance clashes with the Palestinian desire for independence, sovereignty and dignity. There is an inbuilt tension between their needs and Israel’s, which is difficult to reconcile. In order to address Israel’s threat perception, the country developed a comprehensive security concept for the permanent-status negotiations and solution. In all sets of permanent-status negotiations (the Camp David Summit and subsequent talks in 2000, the Annapolis Process in 2008, meetings in 2010 towards the end of Israel’s 10 month settlement freeze, and the ‘Kerry Talks’ of 2013-14) Israel presented a fairly consistent concept of its required essential security arrangements, although some of the emphasis and details varied from one government to another. Territorial adjustments to the 1967 lines so as to establish more secure, defensible boundaries. The main adjustment would include incorporating into Israel the major settlement blocs along the 1967 lines, modestly beefing up its depth, as part of territorial swaps. Creating ‘conditional strategic depth’ (a term coined by Israel’s military planners). This means partial compensation for Israel’s lack of physical strategic depth through a series of non-territorial security arrangements. The first and most dominant of these arrangements is the demilitarisation of a Palestinian state. Establishing a special security regime in the Jordan Valley, along the eastern perimeter of the Palestinian state, as an essential part of the above-mentioned ‘conditional strategic depth’. 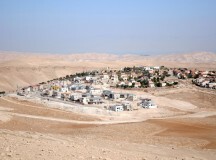 Since the days of Prime Minister Yitzchak Rabin, the Jordan Valley has been considered by Israel to be the country’s eastern security (though not necessarily political) border. For this special security regime Israel has been seeking to include, among others, an effective Israeli military deployment for an agreed period of time. The concept of a demilitarised Palestinian state was initially agreed upon in negotiations in 2000 and later enshrined in the Clinton (under the term non-militarisation), yet the two sides never agreed on what it actually entailed. The Palestinians agreed to forego a regular army with tanks and planes as well as military alliances with other regular militaries, but there are many capabilities that fall in the grey area between a strong internal security force and a regular army that remained unresolved. In addition to demilitarisation, Israel sought operational control over a future Palestinian airspace (since there will only be one air force – Israel’s – and it’s only possible for one party to make real-time decisions about incoming potential threats in the very limited given time and air space), as well as some strategic early warning posts in a Palestinian state (initially agreed but never finalised) and the option to send troops into Palestinian territory during real emergencies in order to pre-empt emerging military threats from the east. Israel also raised concerns over a potential scenario of extreme Islamist forces (e.g. Hamas) taking over the Palestinian state and turning it into a hostile entity, thus triggering Israeli intervention within the State of Palestine. All of these and other required security arrangements (such on the electromagnetic spectrum) remain unresolved between the parties. 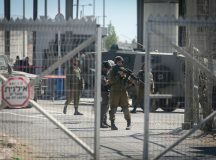 The question of Israel’s right of re-entry to a Palestinian state in case of emerging real threats, terror or military proved to be a major sticking point. Israel has sought to clarify, before the agreement is signed and possibly within the agreement, that it will not gamble with its vital national security. In case of a serious threat and given its narrow margins of security, the Israel Defence Forces (IDF) may intervene without waiting for the threat to reach or enter Israeli territory. The Palestinians would naturally not commit to such stipulations for fear of pre-legitimising Israeli incursions into their state. With the help of the US the parties discussed the definitions of emergency but never came to agreement. What solution for the Jordan Valley? One of the most contentious issues in previous negotiations was Israel’s demand to deploy limited Israeli forces along the Jordan River as part of a special security regime. Such a regime would verify demilitarisation, serve as a deterrent factor, tripwire against military threats, provide early warning, and deal with daily threats of infiltration or terrorism. Israel’s position is informed by deep concerns about long-term stability in Jordan (which is a paramount Israeli strategic interest) as well as hostile state, state-sponsored or jihadi forces from the east, potentially threatening Israel through Jordan. But while Israel views its security in a permanent-status agreement also in a regional context, the Palestinians perceive the security dimension in strict bilateral terms and demand full withdrawal of Israeli troops from a future Palestinian state. The parties fiercely debate this question, including the possible time frame for such a deployment and its terms. Palestinian President Mahmoud Abbas has agreed to a five year period of Israeli forces in this area, to be subsequently replaced by US or NATO forces. In contrast, Israel wanted long-term deployment measured in decades. (Ehud Barak, Israel’s prime minister in 2000 and defence minister in 2008 spoke about a transitional period of ‘a generation’.) In order to overcome this difficulty, during the 2013-14 Kerry-led talks the parties considered the option of defining specific criteria which would trigger an Israeli withdrawal when met (or a continued Israeli presence if they are not). Yet the criteria and identity of the adjudicators were not resolved. The Americans made several important technological–operational suggestions, which would integrate into one effective border system electronic barriers, sensors, intelligence collection and exchanges, and forces on the ground. Such a system would make it hard to cross the border without being identified and stopped. However, Israel was no less focused on the strategic dimension. Even an operationally perfect border system cannot address a scenario in which Hamas takes over the State of Palestine or if Jordan is destabilised by jihadists. Whatever the agreed time period and exact terms of Israel’s deployment in this area, Israel has always insisted that as long as its forces are there, they ought to have a defined and independent zone or strip of operational responsibility (notwithstanding Palestinian civilian responsibilities in this area) for them to be effective. Israel has agreed that its forces deployed along the Palestinian side of the Jordan River will operate within a special security regime on both sides of the Jordan basin that would include Jordanian troops on the eastern (Jordanian) side of the River and international and Palestinian security forces patrolling an area slightly further to the west of Israel’s forces. 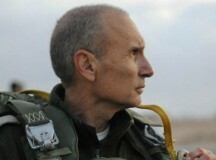 But Israel does not believe in mixed Israeli-international forces because it does not trust international forces (based on a long history with such forces along its borders), and does not want to end up arguing over whether to track down a specific terrorist crossing the border and ultimately have its own freedom of operational action limited. Israel is also very unenthusiastic about US forces as it would like to avert possible tensions on the ground with its closest ally. It is hard to imagine that the parties (and the US) can agree on deciding the issue through specific strategic and operational criteria. They will probably have to agree on a period of time, long enough to allow for a proper transition – or find another ‘outside the box’ solution. In any case, Israel’s threat perception will ultimately dictate its future decision on withdrawal in real time. For example, if ISIS-minded jihadists take over Jordan then Israel will be loath to leave the Jordan Valley regardless of the time frame originally defined by the agreement. Beginning in the 2008 negotiations the US administration also zoomed in on the question of security arrangements in a two-state solution, conducting its own professional staff work. In January 2008 Defence Minister Ehud Barak presented an ‘eight point plan’ to President George W. Bush summarising Israel’s core security arrangements. Subsequently General Jim Jones (former commander of United States European Command and later national security advisor) was tasked with formulating the US position, in a bid to reconcile both parties’s needs. In the Kerry negotiations of 2013-14 this role was fulfilled by General John Allen (former commander of US forces in Afghanistan). While Israel and the US came close on many of the abovementioned points, their positions were never fully compatible. On the question of the duration of Israel’s deployment in the Jordan Valley, the US accepted the need for such a deployment for a period of time but essentially wanted to take the final decision about its duration away from exclusive Israeli hands. The recent CNAS paper [also featured in this Fathom issue] represents an attempt by a joint Israeli-American team of former security officials (including one who had served on Allen’s team) to identify and discuss the main sticking points. The paper identifies as the most difficult sticking points the questions of timetables for the redeployment of Israeli forces, residual Israeli forces on the Jordan River, the question of who makes the final decision on an Israeli troop withdrawal, and Israel’s right to re-entry in the event of an emergency. On the thorny question of Israel’s residual deployment along the Jordan River, the CNAS paper recommends a multi-layered security system on both sides of the border and provides an array of options – without recommending one – for the parties to choose between. These include a special case of Israeli forces staying for a long time frame in a narrow strip along the River with low visibility, Israeli military deployment for a limited time frame to be replaced by American troops in the area, and more. In any case, the paper talks about a ‘realistic and appropriate’ transitional period of 10 to15 years for the completion of Israeli redeployment from the territory of a Palestinian state as a whole. On the issue of Israeli re-entry to the Palestinian territory, the CNAS paper recommends the creation of an Israeli-Palestinian-American coordination mechanism in order to deal with emergencies. If after joint discussions and intelligence sharing Israel remains unsatisfied with the security situation, the paper argues that Israel can enter the West Bank unilaterally (like Turkey does in Iraq). This is far from an ideal solution as in essence it would constitute invading the sovereignty of another state. But the Palestinians would never agree to approve such a scenario in a negotiated agreement. Therefore, if one wants an agreement that Israel will buy into, the only way forward is to create side understandings with the US over the scenarios that constitute emergencies. As can be seen from this analysis, the security component of a permanent-status agreement is very complicated. When each security component is considered in isolation one can find a precedent for Israel’s requirement and it looks solvable. However, their accumulating effect in terms of limiting Palestinian sovereignty is not easy to overcome in negotiations. It requires thinking outside the box, deeper involvement by Egypt and Jordan in security arrangements in Gaza and the West Bank respectively, and perhaps a broader regional security architecture. Herzog argues that security security is paramount for Israel. It lacks “strategic depth, limited resources and location in a hostile environment”. Why should a potential sovereign state of Palestine have to pay for these so called shortcomings? How can one obtain secure boundaries? “Secure boundaries ” change all the time due to changes in military concepts and technology, consequently there will never be “secure borders”. This request for security and secure boundaries is illusionary and also a red herring for the continued intereference in Palestinian affairs and a major impediment to a successful peace treaty.